You Have the Spiritual Power to Recreate Yourself from the Inside Out! It’s so easy to let our circumstances control our life. But that is not what all the great spiritual teachers did… they were powerful. Here are 4 ways to become powerful like all the great spiritual teachers of the past. Resilience – Resilience is one of the most important parts of life. Resilience is taking whatever comes our way and popping right back up again and moving forward. Anyone can choose to be resilient… it’s a choice. So what do you choose? To allow life to overcome you or to be resilient. In fact, resilience is talked about in all the spiritual texts. So march forward and every single day scream out “I KEEP MOVING FORWARD” 30 times every single day! Powerful – Are you powerful or do you mope around? Nothing of importance has ever been accomplished by someone who just moped around. You have to make a stand, you have to pull power from your inner core and bring it to the surface. And scream out… “I WILL NOT GIVE UP NO MATTER WHAT… I AM POWER”. And now act the part… be powerful! Practice screaming out loud these three words “I AM POWER” at least 30 times daily. 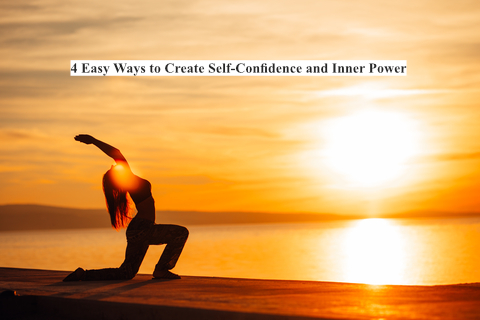 Self-Confidence – Even Sai Baba talked about self-confidence as being one of the most important aspects needed to have a great life. YOU are a direct reflection of all the great spiritual teachers such as Jesus, Buddha, Krishna, Sai Baba, and many more. Would these great teachers mope around and say I can’t do it? No of course not! All the great teachers had great self-confidence and they went out and changed the world… one person at a time. And thus it’s important that you emulate those great spiritual teachers. Close your eyes and take a few deep breaths. Then connect yourself with your great spiritual teacher in the spirit realm. Reach out to your teacher… speak with your teacher who has passed to the light. And think about what your teacher would do in your situation and follow your teacher’s lead and move forward. And scream out “I AM SELF-CONFIDENT” 30 times daily. Stick To iT – All the great teachers had a purpose and they stuck to that purpose no matter what… they were like glue. We are to emulate our teacher’s abilities to stick to their goal. This is our ability to make life happen even when the chips are down. And it all depends upon our ability to stick to our purpose no matter what. So be like Jesus, Be like Buddha, Be like Krishna and march forth with a great ability to stick to your path… and great things will happen. Scream out… “I NEVER EVER GIVING UP” 30 times daily! Do This Every Single Day and Life Will Change in Great Ways — I Promise. As Jesus said, “You can do all of this and more”. This entry was posted in The Relaxed Soul and tagged 4 Easy Ways to Create Self-Confidence and Inner Power, But that is not what all the great spiritual teachers did, Dr. Paul Haider, Have Resilience, Having a Great Life, Healing, Health, HH, I Am Self-Confident, I KEEP MOVING FORWARD, It’s so easy to let our circumstances control our life, Master Herbalist, Photo, Powerful, Scream Out, Scream out “I am Powerful”, Scream Out “I Never Ever Give Up”, Self Confidence, spiritual teacher, Stick to It, they were powerful, to Recreate Yourself from the Inside Out, USA, You Can Do All of This and More, You Have the Spiritual Power. Bookmark the permalink. Hi it’s late and I’m glade to say I’m tired. So this will be my last message tonight. I think on a par as you. I’ve got so much to say to you I just don’t know where to start. I myself have been on a journey I’ve now got a free ticket I hope your show me a few sights. Kind regards Sally.